With the web analytics dashboard, you can get deeper insights into how visitors are finding and engaging with your content. This dashboard provides information on activity like sessions, device types, and how visitors are engaging with your content. Below is a list of the reports that appear on the web analytics dashboard by default. Navigate to your HubSpot dashboards by clicking the sprocket icon sprocket in the top left corner of your account. In the upper left, click the dashboard name, then select Web Analytics Dashboard. This report shows the number of sessions over time, split out by new and returning visitors. A visitor is recognized as being new or returning using cookies. Learn more about how HubSpot defines sessions. 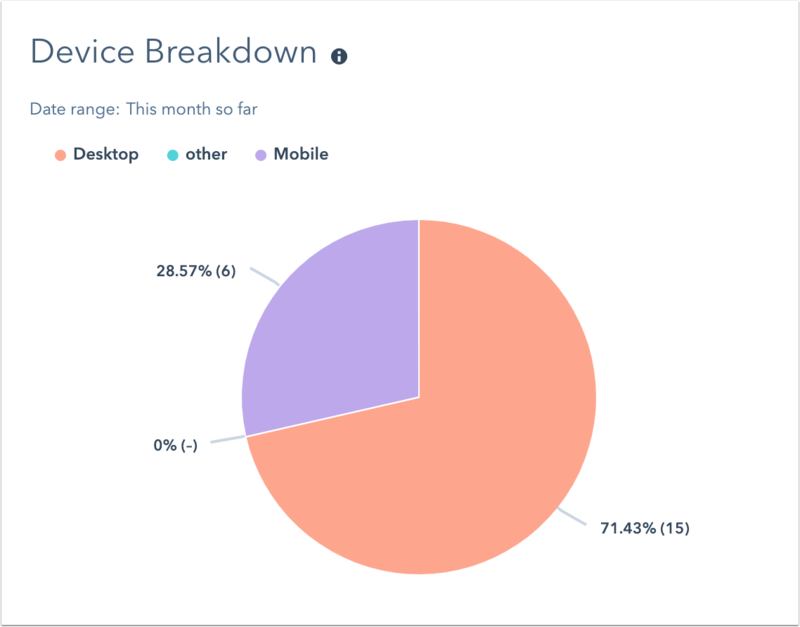 This report shows the total number of sessions within the selected date range, the percentage of those sessions that are a first session, and the percentage of sessions that come from mobile devices. Below each metric, you'll see percentage change from the previous date range indicated at the top of the report. This report shows you how site visitors are engaging with your content. 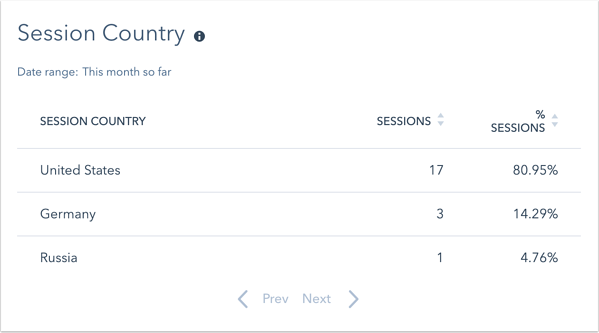 Here you'll see the bounce rate for sessions on your site (the number of sessions with only one page view divided by the total number of sessions), the page views per session, and the average session length. Below each metric, you'll see percentage change from the previous date range indicated at the top of the report. This report shows sessions over time within the selected date range, broken down by source type. For a more in-depth look at your sources data, check out the sources report. This report shows sessions from new visitors over time within the selected date range, broken down by source type. For a more in-depth look at your sources data, check out the sources report. 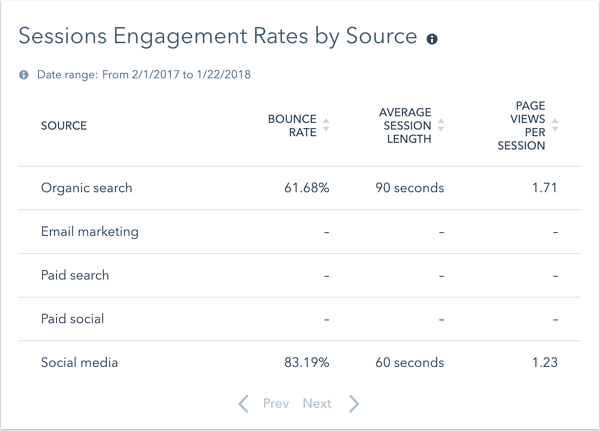 This table shows the bounce rate for sessions on your site (the number of sessions with only one page view divided by the total number of sessions), the page views per session, and the average session length, all broken down by source. Click the header name of a column to sort the table by that metric. This chart shows the relative percentage of sessions from desktop, mobile, and other devices during the selected date range. This table shows the number of sessions from up to five countries and the percentage of sessions from each during the selected date range.